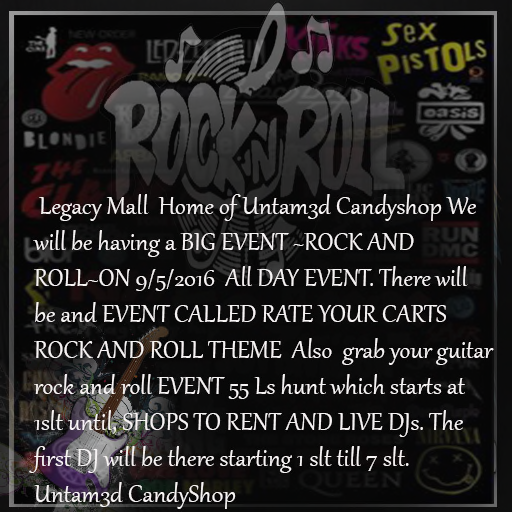 Untam3d Candy Shop is having a Rock-N-Roll Event September 5th- All day! It's true, We are back at it again bringing you some of the best designers on the SL grid. There will be live DJs, 55L hunt and refreshments. We also have booth rentals available if you wish to participate in the Rock-N-Roll Event. Please join us on September 5,2016 . Your presence is most welcome. 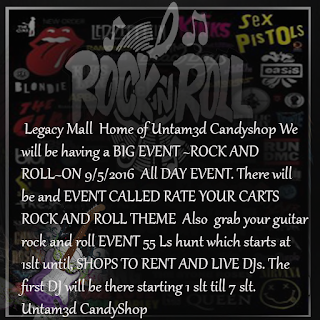 They can give you more details on the Rock-N-Roll Event. Hoping to see you soon !